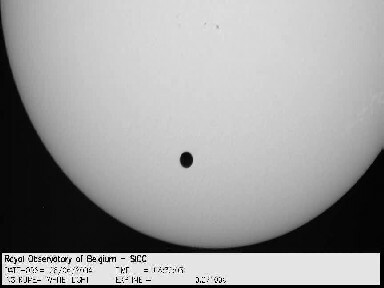 Time-lapse movie of the 2004 Venus transit captured with our first 1Mpixel DALSA camera on a perfectly clear sky. The base image cadence was 3 minutes during the transit and was increased to 30 seconds during the limb contact. Due to the surrounding trees masking the low Sun, the first part of the transit could not be recorded in good conditions at our site. All images were accurately co-aligned and normalized in intensity.